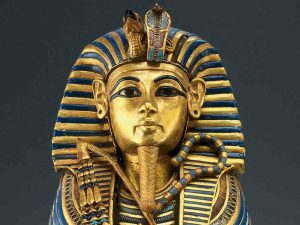 Recently the King Tut exhibit returned to Los Angeles. My wife and I attended the previous exhibit. The lines were long and the museum was crowded with adults and children, but it was worth it. The treasures were impressive and the workmanship exquisite. The audio tour provided insight into ancient Egyptian customs and religion. The preoccupation with death and the next world was a key feature of Egyptian culture, one which the Bible took pains to reject. Still, the magnificent objects placed in the tomb with the pharaoh showed a high level of art. I learned that Tut-Ankh-Amun means “image of the living god Amun.” Unlike many Egyptian gods that were portrayed as animals, Amun was shown in human form. Tut became pharaoh at age nine, reigned from 1333-23 BC and died at age 18, perhaps from an accident – his legs were broken. Among the large, impressive objects were two small ones. 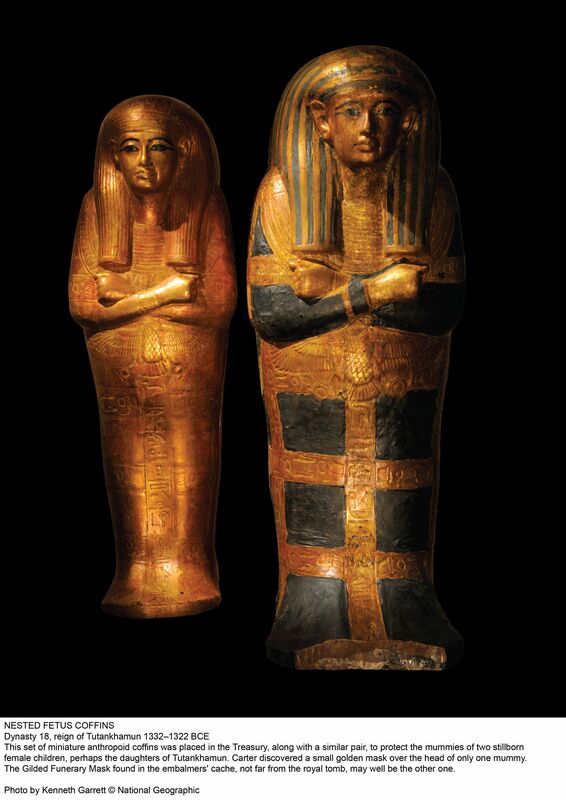 At first I thought they were miniature replicas of the mummy cases that contained the pharaoh and other high officials. But as I listened to the recorded information, I learned that these were not miniatures, but actual burial cases for two tiny fetuses, and as proven by DNA, the result of miscarriages that the queen had suffered. One was small, the other smaller. I whispered because I didn’t want to disturb the people around us. But I realized that I also didn’t want to cause trouble by expressing a politically incorrect idea. That is, my lowered voice was only partly a result of politeness – it was also a result of a cowardly desire not to offend anyone. In fact, I missed an opportunity to make a point that might have been remembered by some of the young people seeing the exhibit. But my desire not to offend overcame my desire to teach. For that I’m sorry. Yes, only the aristocracy of Egypt could afford to have their corpses embalmed and entombed, which they believed would bring eternal life. Slaves and common people weren’t considered worthy of such treatment. But we are much more democratic. Now, no one is believed to be worthy of eternal life. Instead of leveling up, we leveled down. And yes, only the king was believed to be in the image of a god. But we are much more democratic. Now, no one is believed to be in the image of God. Instead of leveling up, we leveled down. Our egalitarianism didn’t teach us that the lives of common people and their offspring also deserve respect. Instead, our egalitarianism led us to regard even the lives of the elite as worthwhile only so long as they are economically productive, and the lives of their offspring as valuable only if their mother wants them. In effect, our notion of equality led us to cheapen human life until we regarded it like that of an ancient Egyptian commoner, rather that elevating it until it reached the level of an aristocrat. We could have chosen the equality of the mansion. Instead, we chose the equality of the slave quarters. So, you see, I learned a lot from attending the King Tut exhibit. I learned about ancient Egypt. I learned what superb craftsmen they were back then. I learned that even ancient pagans respected unborn human life. And I learned that sometimes I am too polite. What we learn from life’s events depends more on us than on the events. For example, from World War II, some people learned that if you don’t stop murderers who want to rule the world when they’re still weak, you have to stop them after they grow strong – when it’s much more costly in blood and sweat. But other people learned only that “war is not the answer.” So they did nothing when expansionist Soviet communism threatened the world, and they do nothing now when expansionist radical Islamism does the same. 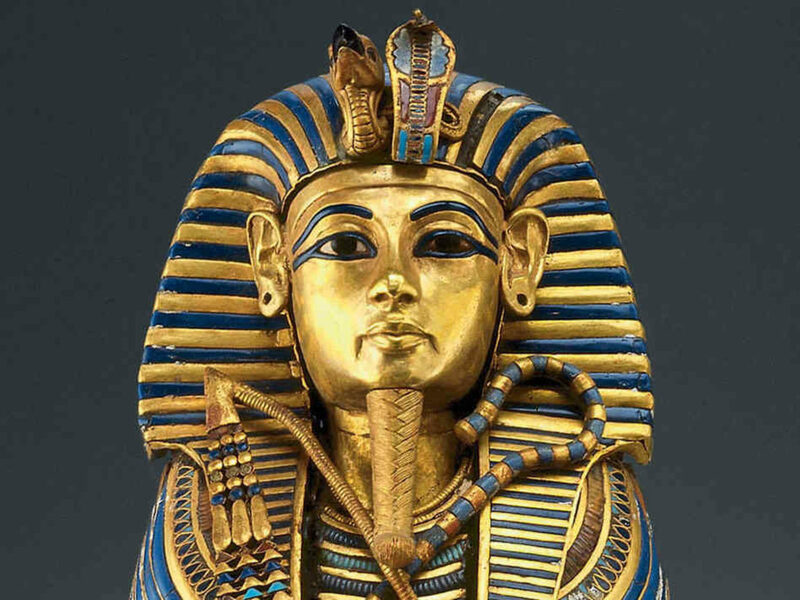 From the King Tut exhibit, many people learned about ancient Egyptian culture and art. But others learned that way back then, when people still worshipped crocodiles and jackals, people already knew that all human life is sacred – even unborn life. Way back then, they knew some things that many of us have forgotten about the respect due human life – all human life. Even 3300 years ago, before anyone had heard of antibiotics, or automobiles, or computers, in some ways people were more human than we are. Technology isn’t the same as civilization. Often they go together, but not always. Our challenge is to advance civilization to keep pace with the advances in technology. At the very least, we must not let progress in technology be accompanied by a decline in civilization. As computer chips get faster and faster, we must not let our regard for human life grow weaker and weaker. We are going from desktops to notebooks to iPads to smart phones that do almost anything. But at the same time, we must not also go from early abortion to late-term abortion, and then to starving and dehydrating to death malformed babies, the brain-damaged, the disabled – and the unwanted. Dry desert air and clever concealment preserved King Tut’s treasures for us to admire 3300 years later. If we want people 3300 years in the future to look back on us with admiration, we have a lot of work to do. We might start by looking a second time at the tiny burial cases for the unborn children of the pharaoh and his queen, and considering whether we would take as much care to show our respect for vulnerable human life.